We often need to modify a block definition. 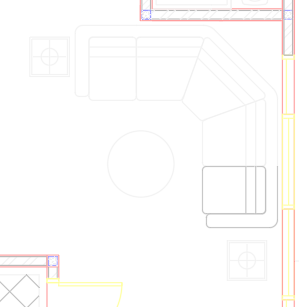 There are many reasons why you should use AutoCAD blocks (at least we can list 5 of them here). A block can make a complicated drawing simpler. You can group many lines into one block. If you use a block for this purpose, you need to modify the block regularly. Sometimes you need to add existing objects in your drawing to your block. Using Block Editor is not suitable because you only see objects in your block. If you need to see objects in your drawing, you need to use another method. Let’s look at how we can do this. Select the block that you want to modify. Right-click and click Edit Block In-place from the context menu. 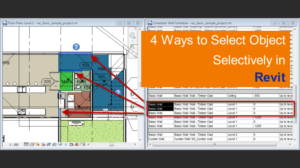 AutoCAD asks for confirmation to select the block that you want to modify. Choose the block then click OK.
You can see now the objects on your block are more visible than the other objects. They are in the working set. Click Add to Working Set on the Edit Reference panel. Select the objects that you want to add to your block. Click Save Changes on the Edit Reference panel. Your block definition is updated. AutoCAD users can use AutoLISP to do this faster. You can download Add Objects to Block LISP from Lee Mac here. The LISP routine allows you to select objects then choose the block to add objects. There are a few steps that you can save by using this LISP. See it in this YouTube video. Hello …I have an attributed block that i need to put on zero layer. How can i do that without losing the attributes? I’m not sure what you want to do, can you elaborate? Are you trying to add an attribute to an existing block? A minor caution. As a drawing editor, you will want to be aware of the other entities you are adding. Blocks can be nested inside of each other, and it’s possible that you could be creating a block that contains other blocks, which contains other blocks, etc. Sometimes this is desired, other times not. Thank you for the reminder R.K.
A good reminder for users who are not really familiar with blocks!